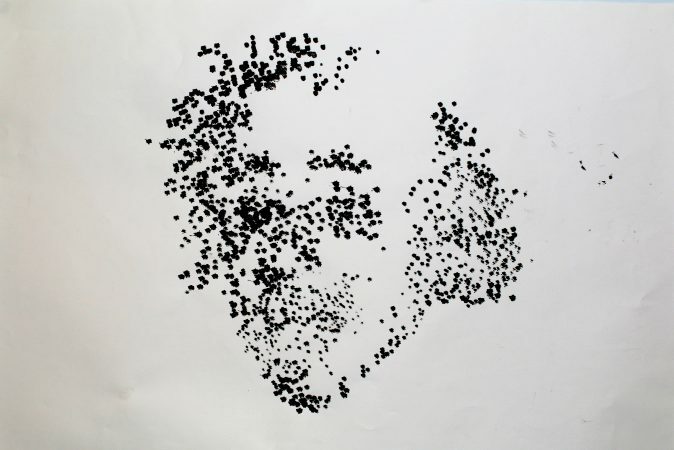 This is a stippled version of the famous photo of Albert Einstein taken by Arthur Sasse on his 72nd birthday. This stippled print is created by a small flying quadrotor that receives power from a tether. As such the ink soak sponge that is used for stippling can be refilled during flight by having the robot visit an ink cup, much like a humming bird drinks nectar from a flower. Photograph of the finished print. 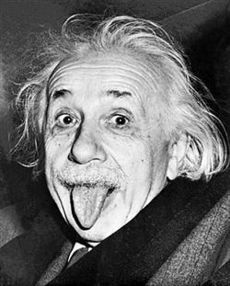 Image of Einstein taken by UPI photographer Arthur Sasse in 1951, that we use as reference. 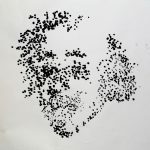 We modify this image slightly (e.g., background removal) to ensure that the stipple generation step produces a reasonable number of stipples. Video showing tethered flight, ink sponge refill, take off and landing. 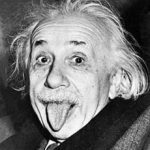 A time lapse of the creation of the stippled Einstein artwork starts at the 1:10 mark.